Atlanta Keynote Speaker: When you host as many conferences as Atlanta does, you wind up with a lot of business keynote speakers in town. But contrary to those hilarious AT&T kid commercials, more is not always better. There is particular type of Atlanta keynote speaker lurking around town, and you need to watch out – make sure you don’t book this character. Since when did “keynote” equal “6-hour snoozefest”? If your Atlanta Keynote Speaker can’t communicate what they have to say in a reasonable amount of time, they’re doing something wrong. Just because the topic is business doesn’t mean there’s no room for humor. 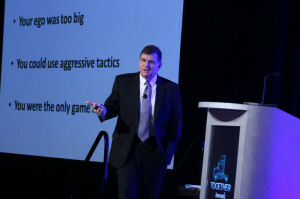 Your audience will respond better to an Atlanta Keynote Speaker who’s able to make them laugh, which in turn will make them remember the speech for weeks and months to come. It’s nice to be inspired and everything, but without tangible action steps that are relevant to your company, inspiration may fall flat. Stay away from the Atlanta Keynote Speaker who can get the crowd to their feet, but can’t for the life of them relate a single thing they’re saying to the real world. The worst kind of Atlanta Keynote Speaker can talk about business theory all day long, but has no actual experience in the business world. Be sure to find an Atlanta Keynote Speaker with a resume that includes speaking engagements as well as real-world business experience. 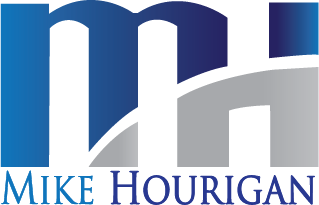 Mike Hourigan is an Atlanta Business Keynote Speaker, Author and Consultant who specializes in change management, communications skills training and negotiation skills.